An extremely useful bibliography, constantly updated, on Arabic-Islamic Philosophy and Kalām. Established in 1865, the Bibliothèque du Saulchoir (a non profit-making organisation in accordance with the 1901 law) is the library of the French province of the Dominican order. It specialises in the human and religious sciences, and is currently home to a collection of more than 250 000 books and nearly 5 000 different reviews and journals, as well as other prints, etchings, images and religious objects, all of which can be consulted free of charge. The Center for the Study of Christianity was established in 1999, thanks to the generosity of Hubert and Aldegonde Brenninkmeijer-Werhahn, and dedicated in March 2000, just ahead of John Paul II's historic visit to Israel. The Center aims to stimulate and coordinate research projects, conferences and workshops, at both the national and international levels, graduate students' workshops, and lectures by distinguished Visiting Professors. In addition the Center offers research grants for graduate students in the Hebrew University. The ongoing bibliographical project A COMPREHENSIVE BIBLIOGRAPHY ON SYRIAC CHRISTIANITY < was launched in the year 2008. The ultimate goal of this project is to create and launch an on-line database on Syriac Christianity that will be updated on a regular basis and available free of charge to the international scholarly community. At present, the database includes more than 14.000 bibliographic entries. The Digital Corpus for Graeco-Arabic Studies assembles a wide range Greek texts and their Arabic counterparts. It also includes a number of Arabic commentaries and important secondary sources. The texts in the corpus can be consulted individually or side by side with their translation. The majority of texts can also be downloaded for further analysis.. The DSAL provides users with free digital materials on South Asia. The Encyclopædia Iranica Online is dedicated to the study of Iranian civilization in the Middle East, the Caucasus, Central Asia and the Indian Subcontinent. The website of a research group whose focus is the so-called “Golden Age” of Islam in all its various aspects. This Database contains the list and description of manuscripts, editions and translation of Averroes’ works, as well as a complete bibliography of articles and books from 1980 onwards. Incontro di culture - Centro per lo studio della trasmissione dei testi filosofici e scientifici dalla tarda antichità al medioevo islamico e cristiano (dal greco al siriaco, all’arabo e al latino). This website contains the texts of the lectures given at the yearly meetings organized by the Centre “Incontro di culture” for PhD students working in the field of the transmission of Greek philosophical texts to the Middle Ages. The website of the Gruppo di Ricerca Arabo-Cristiana directed by Father Samir Kahlil Samir. Among other very useful resources, it gives information on the published and forthcoming issues of the series Patrimonio Culturale Arabo Cristiano. The Research Unit Intellectual History of the Islamicate World directed by Sabine Schmidtke at Freie Universität Berlin combines the research projects devoted to post-Avicennan philosophy, the “Muʿtazilite Manuscripts Project Group”, the Research Project “Rediscovering Theological Rationalism in the Medieval World of Islam”, including Counterreactions; the Research Project “Interreligious Contacts and Controversies in the Ottoman Empire and pre-modern Iran”, and two major research projects aiming at digitizing the endangered manuscript holdings of the private and smaller public libraries of Yemen. The CMG features an extensive collection of films and photocopies of ancient medical manuscripts in Greek, Latin and Arabic; these materials have been made accessible to foreign project collaborators for use in preparing their editions. The library of the Academy project, which is being systemically enlarged, numbers among its holdings text editions of ancient medical authors from the beginning of the 16th century to the present, the corresponding secondary literature, special works on ancient medicine, as well as general medical histories and medical reference books. The Perseus Digital Library Project covers the history, literature and culture of the Greco-Roman world. Since 2008, it covers also Arabic literature. Information on the Aristoteles Semitico-Latinus project will be found here, searching for Dr. Aafke van Oppenraay. 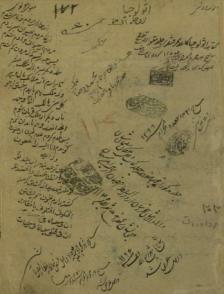 The digital services of MENAcollection offer access to a number of bibliographic databases and electronic fulltext materials related to Middle East and Islamic studies (Zeitschrift der Deutschen Morgenländischen Gesellschaft - ZDMG, Zeitschrift für Assyriologie und verwandte Gebiete, Zeitschrift für Indologie und Iranistik, Zeitschrift für Semitistik und verwandte Gebiete). The Marginalia Review of Books (ISSN 2325-8357) is an international review of academic literature from a range of disciplines along the nexus of history, theology, and religion. The « Institut des Sources Chrétiennes » (Christian Sources Research Centre) was affiliated to the CNRS (French National Center for Scientific Research) in response to the specific needs relative to the scholarship and works involved in studying and editing historical Christian texts. This research group is made up of several scholars who compile and analyse studies prepared by a network of French and foreign associates. The basic purpose of the « Institut des Sources chrétiennes » is : to edit the most important texts from the first 1400 years of the Church, most of them written by the Church Fathers (these writings include apologetics, biblical commentary, sermons, treatises, letters, liturgies, poems and hymns, dialogues, ascetic writings, Church canons and history...), to teach the reading of these texts and the interpretative and editing methods; and to organise some and participate in numerous seminars, conferences and international symposiums, with the aim of contributing to the advancement of Patristics (i. e. the knowledge of the Church Fathers). The ultimate goal of BIBLINDEX is to permit the identification of biblical quotations in all Jewish and Christian literature of Late Antiquity and the Middle Ages. A corpus of about 400,000 biblical references is available on this site. The Corpus Medicorum Graecorum (CMG) presents the extant writings of all Greek physicians from the 5th century BC to the end of classical antiquity, including early Byzantine handbooks and commentaries on ancient authors, in historical-critical editions. A print version in PDF is available on this Website. The Corpus Medicorum Latinorum (CML) presents the extant writings of all Latin medical authors from the 1st to the 5th century AD in historical-critical editions. A print version in PDF is available on this Website. "Galen of Pergamum. The Transmission, Interpretation and Completion of Ancient Medicine" is a long term project of the “Akademienprogramm” of the Union of the German Academies of Sciences und Humanities. This project will concentrate in the following years on the edition and interpretation of Galenic works in the domains of psychology, topology of the body, epistemology, nosology, therapy and on the literary genre of scientific commentaries. Bibliographies to Hippocrates and to Galen (Fichtner) can be downloaded for private use on this Website. the Centre for the Studies of Manuscript Cultures (CSMC) is engaged in fundamental research, investigating from both a historical and comparative perspective, based on material artifacts, the empirical diversity of manuscript cultures. It will establish a new paradigm that is distinct from the research on manuscripts undertaken until now, which has been limited in its approach by region and discipline. On one hand, the cultural dependency of what has usually been considered given will particularly be brought into question, and on the other hand, universal categories and characteristics of manuscript cultures will be delineated, as one possible result of the comparative research.